Don't Eat the Paste: Rose stationery page? I actually drew this to use a dry erase board on my front door. One of my birthday presents was a new thermal laminator. I'm starting a new site just for reviews. For the time being I'll still be posting some reviews in both places and I'm still in the process of getting all my craft reviews up on the other site. It's MyCraftReview.com and there is a review of the laminator there. I printed it out and ran it through my laminator in a glossy pouch. Then I put magnet tape on the back (my exterior door is metal) and when I find them, I'll use hook and loop tape to attach a dry erase marker to it. 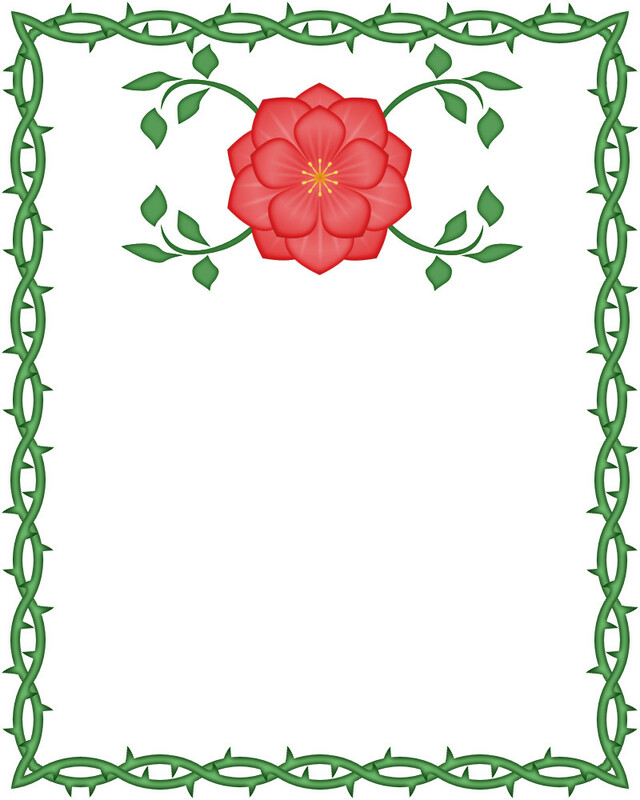 I think the sheet would also work well for stationery, and I'll be using the rose/thorn design on a box later today. Any preferences on which box template I put it on? Leave your choice in comments! To everyone who wished me a happy birthday, thank you. It was lovely. I spent the day with my family, my husband grilled chicken, pineapple, zucchini,mushrooms and asparagus. The chicken and pineapple with my homemade teriyaki sauce. It was just amazing. We had so much fun. Oh! And my uncle loved the cakes I made for him this year, they were an absolute hit with him.